Approximately one mile north of the John Brown Farmhouse is a small rural cemetery scattered with marble headstones. Carved into two of those headstones in the North Elba Cemetery are the names of one of the earliest settlers of Timbucto and one of its last survivors. 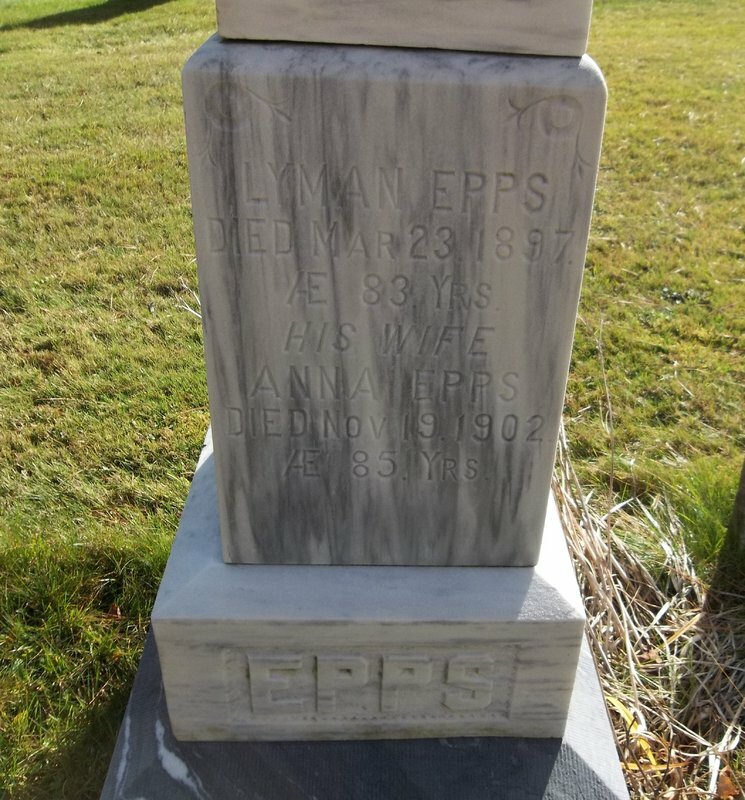 There are other gravestones of Timbucto residents in the cemetery who fall somewhere between, and even before, the history of these two men, but Lyman Epps, Sr. and Lyman Epps, Jr. are two of the most remembered men in Timbucto and North Elba history. 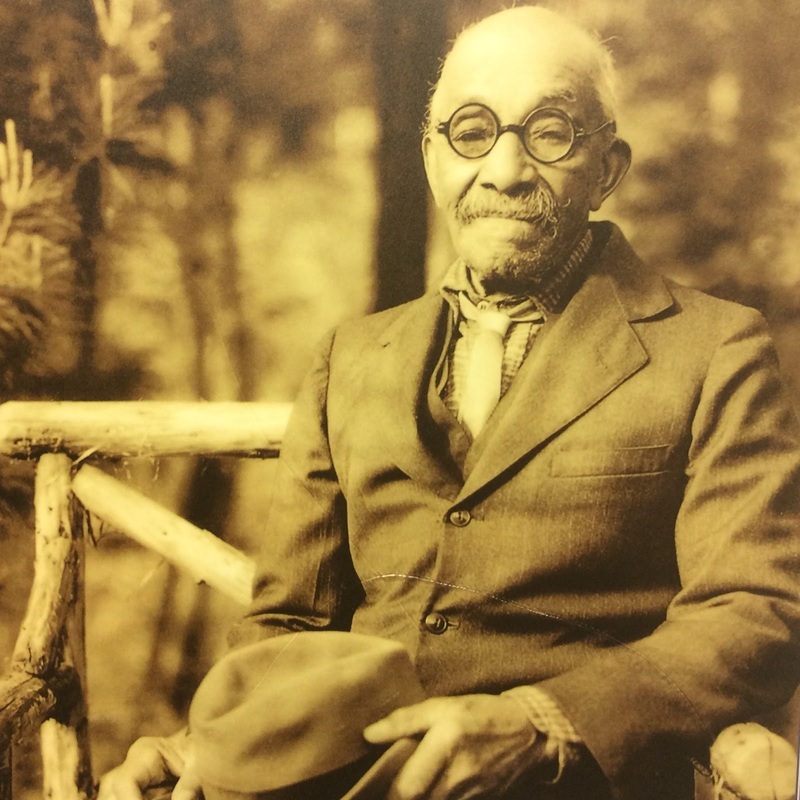 Lyman Epps Sr. was a “Smith Land” grantee and his family was one of the very few who remained in Timbucto and North Elba permanently. For nearly one hundred years the Epps family embraced the Adirondack lifestyle and endured its hardships. The last surviving family member of Timbucto, Lyman Epps Jr., passed away in 1942. Epps Jr. had moved with his family to Timbucto when he was about two years old in 1849. 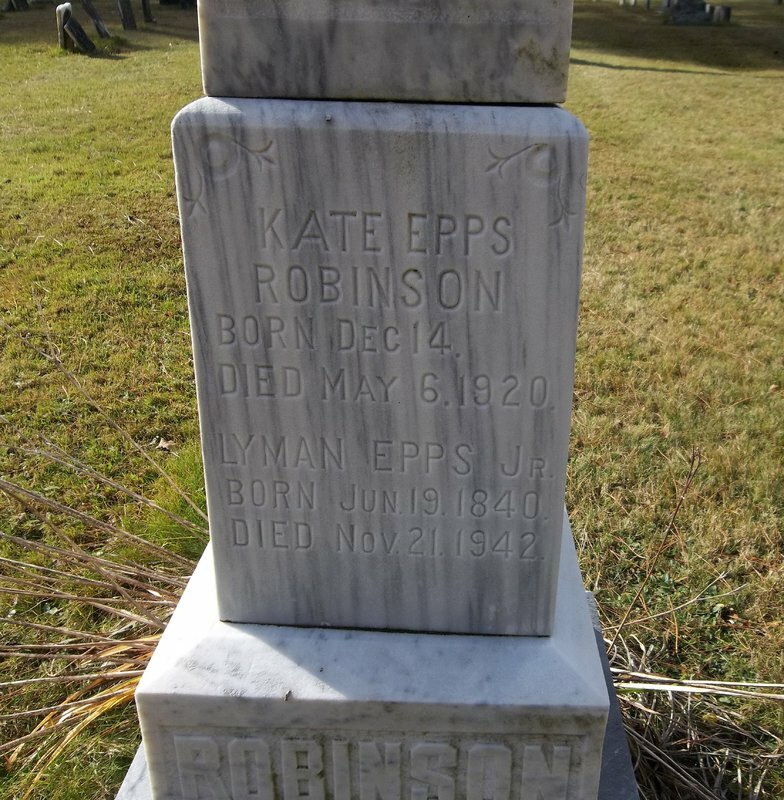 His father passed away in 1897, and around the turn of the century Epps, Jr. sold the family homestead. Epps, Jr. remained in the North Elba area until he passed away at the age of ninety-five. His gravestone reads that he passed away at the age of one hundred and two, but local historian Mary MacKenzie proved this to be incorrect. Epps, Jr. wrote that letter four years before his death. When he passed, he possessed a deep admiration of John Brown. His admiration stemmed from not only the way Brown treated his family or the Timbucto community, but for the way he treated all African Americans. In the photo he enclosed with his letter, Epps, Jr. is tranquilly seated wearing glasses, a suit, vest, tie, and plaid shirt. 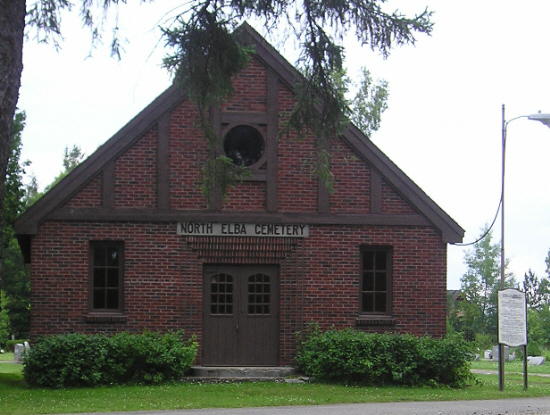 RJ Lara, “North Elba Cemetery,” UpstateHistorical, accessed April 18, 2019, http://upstatehistorical.org/items/show/55.